Summer lull? What summer lull? August is supposed to be a bad month for stocks, but so far so good. Wall Street continued to draw confidence Friday from Apple (NSDQ: AAPL) and its valuation milestone, which kept investor dispositions sunny despite the usual dreary woes over tariffs. The Dow Jones Industrial Average, S&P 500, and Nasdaq all ended in the green today. Apple shares rose 0.29%, extending recent gains. And yet, many risk-averse, conservative investors have done just that. They’ve thrown in the towel when it comes to tech stocks. They’re still traumatized by the dotcom bust of 2000, which obliterated $6.2 trillion in household wealth over the next two years. The perception has lingered: technology stocks are too volatile. The 19% plunge in Facebook’s (NSDQ: FB) stock last week underscores the notion. In a minute, I’ll get back to tech stocks and the best way right now to play the sector. The markets today were in a tug-of-war between fear and optimism — the former sentiment fueled by the trade war, the latter by positive news on earnings and the economy. Markets were mixed in midday trading, but optimism won. The consensus expectation is that year-over-year second-quarter earnings growth for the S&P 500 will come in at 21.3%. The economy continues to hum as well. The U.S. Labor Department reported Friday that nonfarm payrolls increased by 157,000 jobs in July, less than expected but still a solid showing. Economists had expected nonfarm payrolls to increase by 190,000 jobs in July and the unemployment rate to fall to 3.9%. 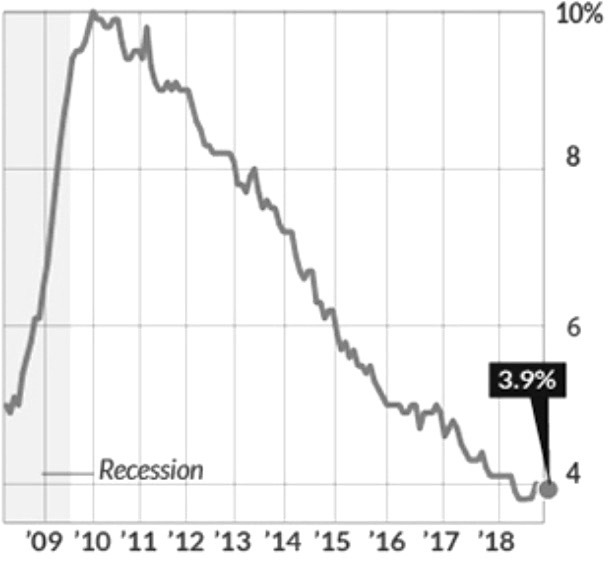 The tightening labor market means that employers are having trouble finding qualified workers; hence the unexpectedly slow rate of job growth. It also means that companies must pay more for talent. On the tariff front, Beijing announced Friday that it would hit about $60 billion worth of U.S. exports with new tariffs, as retaliation against the White House’s escalation this week of trade measures against China. Counterbalancing the trade angst are robust earnings. Particularly strong earnings results came from Apple this week, exemplifying how fast-growth innovators have evolved into mega-cap blue chips. It’s a big miscalculation to avoid the tech sector because it’s supposedly too risky. Technology stars such as Apple have matured into “Steady Eddy” growth stocks that enjoy dominance of their respective niches and rock-solid balance sheets, allowing them to weather market gyrations and reliably grow over the long term. However, instead of perceiving the corporate denizens of Silicon Valley as too dicey, you should cherry-pick those that have become today’s nifty buy-and-hold investments. That said, as the second half of 2018 unfolds, we’re starting to witness a migration away from mega-cap momentum stocks — the glamorous companies touted on CNBC — toward smaller, lesser-known value plays. Now’s the time to follow this trend, before the rest of the investment herd catches on and these “bargain stocks” get more expensive. Smaller U.S.-based technology companies derive more of their revenue domestically, which makes them less vulnerable to trade battles. Tech giants as a whole are generating market-thumping gains, but Wall Street has placed exuberant demands on them. Disappointments are harshly punished, as we saw last week with Facebook. Headline risk, especially in the form of new tariffs, continues to loom over financial markets. Europe is America’s ally. It used to be, anyway, until U.S. tariffs came along this year. In 2017, the European Union was an economic success story. But clouds are gathering over the Continent, thanks to the trade war. Eurostat, a European research group, said Tuesday that the euro zone only grew 0.3% in the second quarter of 2018, down from 0.4% in the first quarter. It cited trade conflict as a major culprit. U.S. tariffs have done more than just raise the costs of materials like steel and aluminum. They’ve also disrupted supply chains and upended corporate planning. The trade war has made managers skittish; they’re canceling or delaying orders. American jobs, which the U.S. tariffs are designed to save, are under threat. Case in point: BMW (OTC: BAMXF) yesterday reported a 6% year-over-year decline in quarterly earnings. 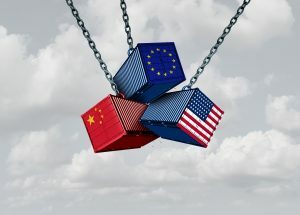 The German carmaker, which operates substantial factory operations on American soil, indicated that it might move those production facilities to China — yes, China — to avoid costly U.S. tariffs. Welcome to the law of unintended consequences. Don’t get too relaxed during your August vacation. The dog days still might bite investors. But for today at least, trade gloom was no match for the eternal sunshine of the spotless investor mind. Weight loss company’s operating results excel. Golf equipment supplier raises guidance. Aerospace/defense contractor beats on earnings and revenue. Medical x-ray provider’s earnings and revenue lag estimates. Analysts unimpressed with ophthalmic tech firm’s earnings. Property and casualty insurer disappoints on earnings. “Is cyber security an appealing investment opportunity?” — Alex Z.
Cyber attacks in the public and private sector are fueling demand for technology companies that make protective software. As the 2018 midterm elections approach, U.S. intelligence services say that the Russians are still using cyber warfare to influence the vote. Cyber security firms that contract with U.S. government agencies are well-timed plays now.